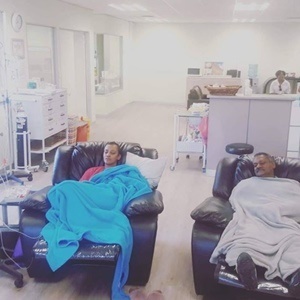 Peter de Villiers, former Springbok rugby coach, attended each of his daughter Odille’s chemotherapy sessions. For three weeks he sat next to her every day to keep her company. “Sometimes I’d just sleep but he’d still stay with me,” says Odille Monk (28), a Pilates instructor from Paarl, near Cape Town. Odille, who was diagnosed with a tumour in her chest last year, completed her chemo treatment last week. “You mustn’t just tell your children you care, you must show them,” Peter tells YOU. When Odille’s symptoms started, she put it down to a sinus problem. But when her coughing didn’t subside she finally went to see a doctor. “For about three months I coughed and coughed. I didn’t feel well at all,” Odille says. She started wondering if she had tuberculosis and had herself tested for the disease. “The tests showed a tumour in my chest, at the bottom, near my heart,” Odille says about her diagnosis in October last year. “It was such a shock,” she says, adding that it took about a month for reality to set in. Since her diagnosis, she’s received chemotherapy every three weeks, for about seven hours a session. Her hair fell out and after each session she’d feel exhausted, nauseous and lethargic. “But it was wonderful having my dad there with me. He made me strong and it felt as if I had a little bit of home close by,” she says. Odille’s huge tumour started shrinking dramatically after her second chemo session. “It’s a miracle and of course a huge relief,” she says. She didn’t let her treatment get in the way of marrying Scott Monk in December near Wellington. They became engaged in June last year. In three weeks’ time she’ll go for a scan to see if the tumour has been destroyed. For the next few months she’ll also have regular check-ups and blood tests. “I’ll just have to live a healthy lifestyle,” she says. Peter is positive about his daughter’s future. “There’s nothing left [of the tumour], everything’s over. I’m positive,” he says, adding the past few months were hard. “But the Lord gave us the strength to get through this. She was at death’s door but her faith gave us all strength,” says the former Bok coach, who’s deeply religious. At one point, he shaved off his famous moustache in support of Odille’s struggle. “Sometimes, I’d get a fright at the sight of myself in a mirror,” he laughs, before continuing on a more serious note. Peter, who coaches Zimbabwe’s national rugby team and is a motivational speaker, describes the past three months as a “speed wobble”. “I don’t even want to call it an illness. She’ll get back up to speed now,” he says about his daughter. “I kept believing God was in charge and would heal me,” Odille agrees. “It was also incredible to see how much the community supported me, how people brought food, baked bread and sent me messages of support,” she says, smiling. The largest breast cancer treatment study ever done finds that most women with the most common form of the disease can safely skip chemotherapy. Tanya Da Silva Ferreira survived breast cancer. She tells a very personal story about what cancer treatment looks like. Can sick kids benefit from dagga? Marijuana can help children with chemo-linked nausea and epilepsy, but there's not enough evidence that it has a positive effect on any other medical conditions. CANSA’s purpose is to lead the fight against cancer in South Africa. Its mission is to be the preferred non-profit organisation that enables research, educates the public and provides support to all people affected by cancer. Questions are answered by CANSA’s Head of Health Professor Michael Herbst. 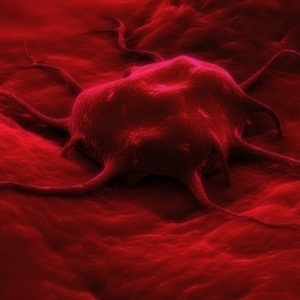 For more information, visit cansa.org.za. Q: Mole/spot on my legs, should I be concerned?